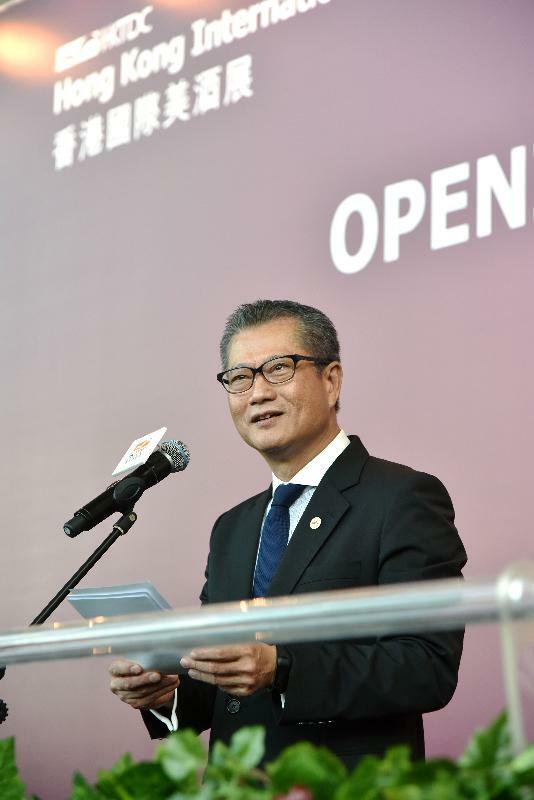 It's a pleasure to join you all today for the opening ceremony of the 2017 Hong Kong International Wine & Spirits Fair. The fair turns 10 this year - a decade of success in building the wine business for Hong Kong and Asia as a whole. A decade of achievement, too, in celebrating the culture, and the many pleasures, surrounding wine. This year, we have three full days packed with more than 70 wine-filled events. 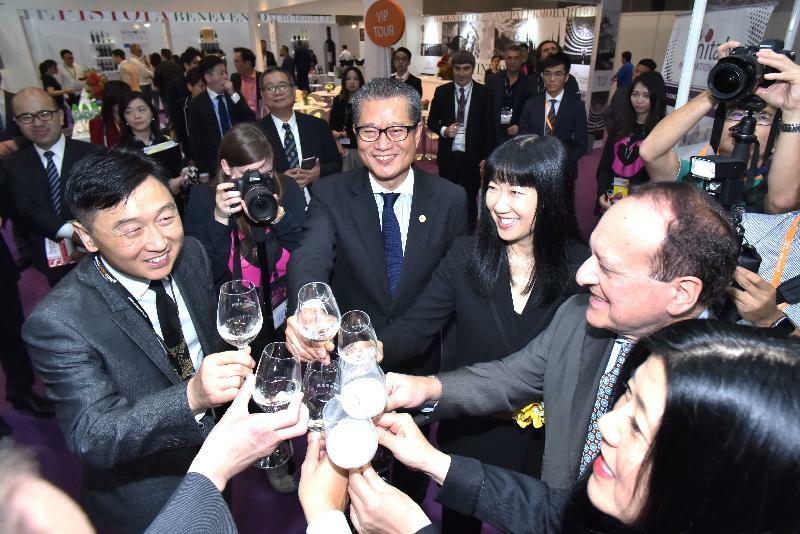 For that, we can thank the Hong Kong Trade Development Council, for pouring itself, professionally and passionately, into what has become one of the region's most popular wine and spirits events. 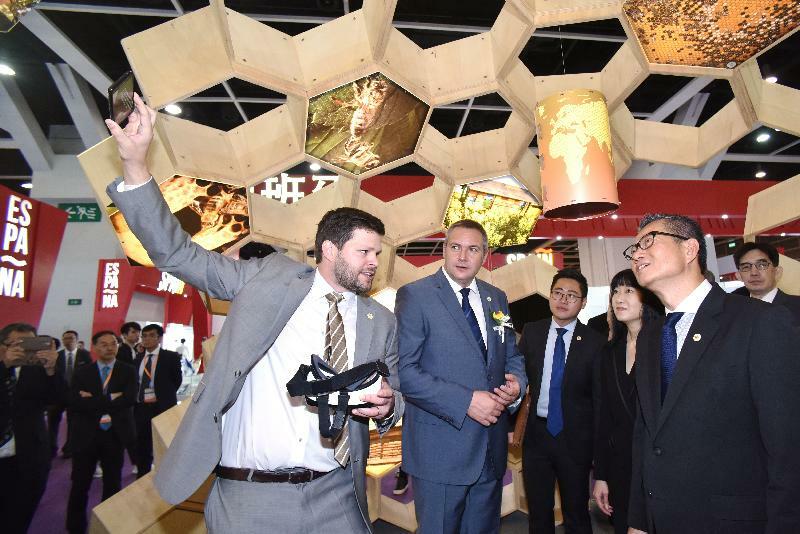 I'm told this year's fair features a record of 1,070 exhibitors from nearly 40 countries and regions across the world, including a new pavilion from Champagne, France, featuring seven growers from one of the world's great wine-producing areas. And the Champagne Avenue, also new, will introduce us to even more champagnes from France. There is, as well, a welcome harvest of new pavilions from the United States, Russia, Portugal and Romania. The Asia Wine Academy gets going this year, and Slovenia's Ministry of Agriculture, Forestry and Food is back, spotlighting wine made from honey. The wine world is here for good reason. Because Hong Kong is one of the world’s most business-friendly - and wine-friendly - cities. It starts with a welcome absence of taxes. There's no wine duty here, and no tariff or GST (goods and services tax) or VAT (value-added tax), making your wine more affordable and attractive to buyers. We are also home to the world's first wine-storage certification scheme, and boast a multi-talented, multilingual team of wine and culinary professionals from all over the world. In fact, with sevenfold growth over the past decade, the future of Hong Kong's wine business looks very bright. Last year alone, we imported more than 60 million litres of wine from over 50 countries and regions - a record value exceeding US$1.5 billion. That, ladies and gentlemen, is equivalent to more than 80 million bottles of wine. With a population of just about 7.3 million, we didn't empty all the 80 million bottles ourselves - about half of the wine imported into Hong Kong was re-exported. It shouldn't surprise anyone here that the massive market of the Mainland of China is the key destination of our wine re-exports. Indeed, Hong Kong's re-exports to the Mainland have increased almost 35 times over the past 10 years. Our wine customs facilitation scheme with the Mainland has given Hong Kong wine traders instant customs clearance of wine entering five Mainland customs districts, including Beijing, Shanghai, Tianjin, Guangzhou and Shenzhen. I am pleased to share with you this morning the good news that this arrangement will be extended, with immediate effect, to all 42 customs districts right across the Mainland. 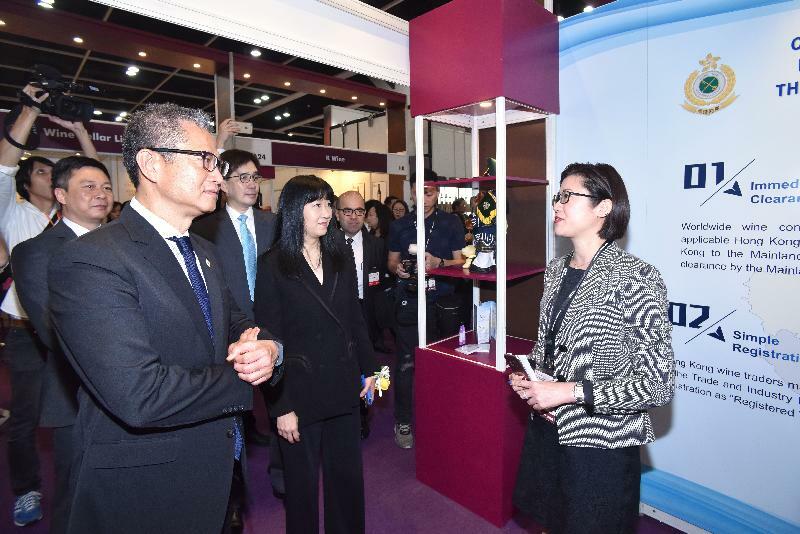 These, and a good many other advantages, underline Hong Kong's hub role for international wine companies looking to spread bottled pleasures across the fast-moving Asia-Pacific wine market. 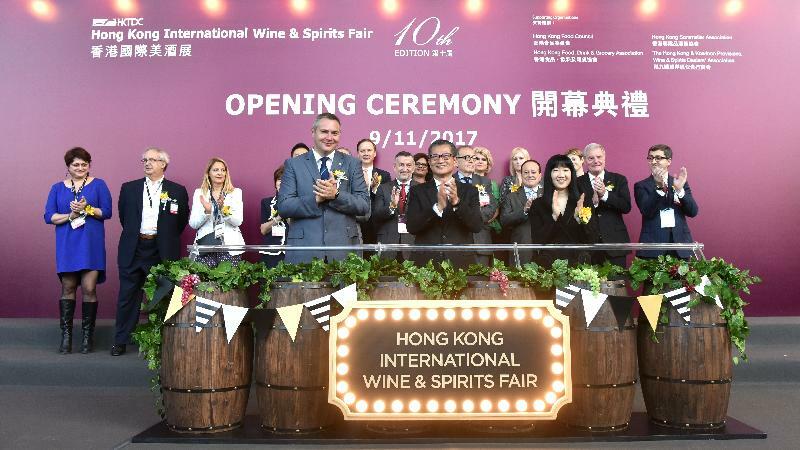 Ladies and gentlemen, it's time to pop the cork, to enjoy the heady experience of the Hong Kong International Wine & Spirits Fair. I wish you all the best of business and pleasure over the next three days and nights here in Hong Kong. Asia's World city, and of course, Asia's wine capital.